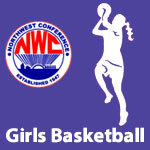 November 2015 – NWC-Sports.com | The Official Site of the Northwest Conference for nwc news, nwc scores and more. Running Back: Zach Goecke, Spencerville, 6-1, 190, sr.
Running Back: Hunter Binkley, Delphos Jefferson, 5-10, 180, Jr.
Linebacker: Dalton Hicks, Delphos Jefferson 6-1, 225, sr.
1. Must be a letter winner in their sport. 2. Gold level — GPA of 3.5 or higher during the season of their sport. 3. Silver level — GPA of 3.0 to 3.49 during the season of their sport. Bluffton looking for football, volleyball & cross country coaches. 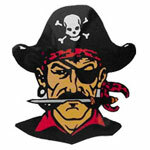 Bluffton High School is looking for a Varsity Head Coach for Football, Volleyball, and Cross Country. Paulding won the Northwest Conference Scholastic Bowl competition with a 7-1 record in matches held at Delphos Jefferson High School. Bluffton, Jefferson and Spencerville tied for 2nd with 5-3 records in the competition followed by Ada, Crestview, Columbus Grove, Lincolnview and Allen East. 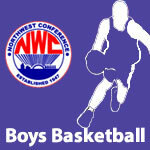 If you are at the game, please text end of quarter score updates to 419-230-0241 or mention @nwcsports on Twitter or download the ScoreStream App and update the score from the game on your phone. 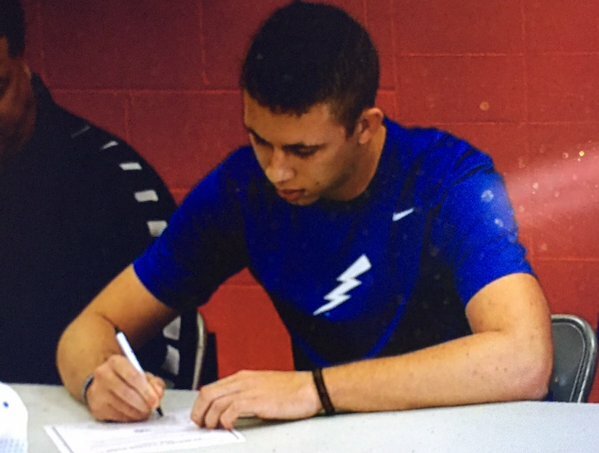 Delphos Jefferson’s Trey Smith signed to play basketball at the Air Force Academy. 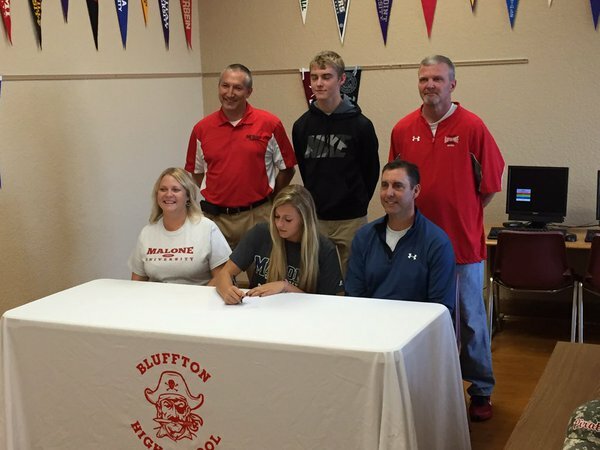 Bluffton’s Samantha Fruchey signed to play softball at Malone University. Bluffton High School senior Samantha Fruchey signed a letter of intent to play softball for the Malone University Pioneers, in Canton, Ohio. Sami will join Coach Kathryn Bzdafka and the Pioneer softball team this fall. In her time at Bluffton, Sami has been a standout on the Volleyball and Softball teams, earning all Northwest Conference honors in both sports. Sami’s success also extends beyond athletics. She is an honor roll student, a Northwest Conference Scholar Athlete, and a member of the Northwest Conference Sportsmanship Committee. Samantha also attends Emmanuel United Church of Christ, coaches youth softball pitchers, and works at Chiles-Lehman Funeral Home in Bluffton. 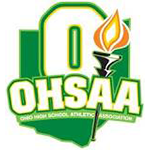 The 2015 OHSVCA Volleyball All-Ohio Teams were announced.